Gaiman told the New York Times that when he was a young kid, he was engrossed with fascination as he read Roger Lancelyn Green's Myths of the Norsemen and Jack Kirby's The Mighty Thor. This fascination with Norse myths also inspired some of his best-selling books. In American Gods, for instance, there was a major character there who was based on Odin, one of the biggest names in Norse mythology. Odin is associated with healing, royalty, knowledge, sorcery, frenzy, death, the gallows, battle, poetry, and the runic alphabet. Also, in Odd and the Frost Giants, a children's book, Gaiman created the character of a young boy who crosses path with an eagle, a fox, and a bear. These animals turned out to be Odin, Loki, and Thor. There are also characters and stories in Sandman that were drawn from Norse mythology. Gaiman also contributed in the penning of the screenplay for the 2007 film Beowulf by Robert Zemeckis. 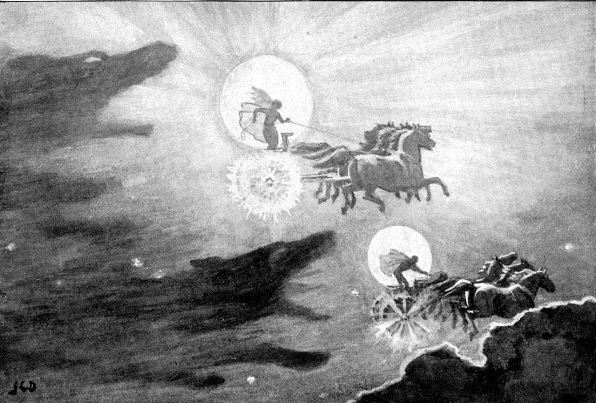 According to W.W. Norton & Company, Norse Mythology is going to be a non-fiction retelling of Norse stories. However, the stories will be done in an almost novelistic style. Gaiman revealed that it took him three years to write and finish the book. The book is now available for pre-order on Amazon.